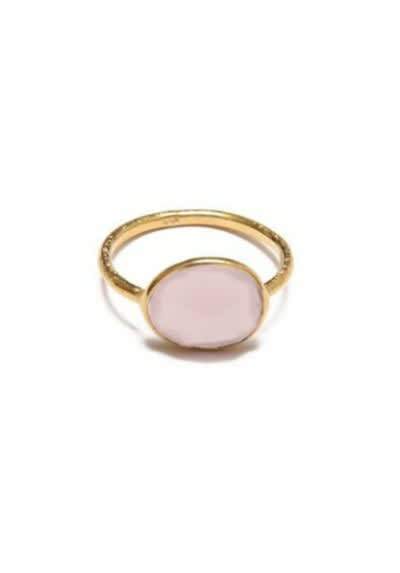 Rings made with natural stones, this model has a natural pink quartz stone on the center, 18kt gold plated and nickel free. This is one of our must-have for this season. Don't go without it anywhere.